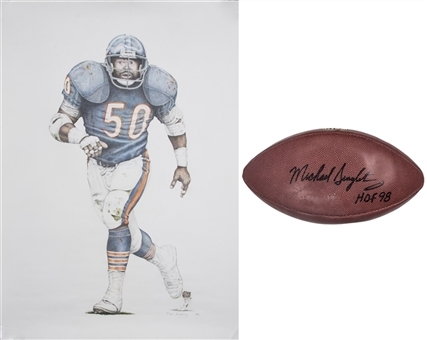 Included in this lot is a football signed by Hall of Fame linebacker Mike Singletary, as well as a lithograph originating from his personal collection. 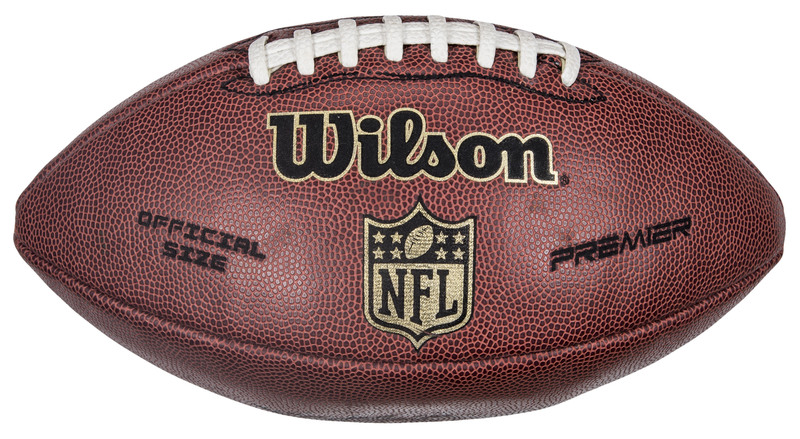 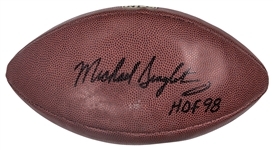 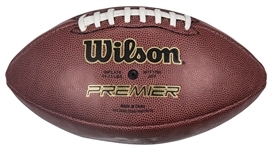 Singletary has signed this Wilson Premier official size football in black marker with his full name of “Michael Singletary”, adding the inscribing “HOF 98” beneath his signature. 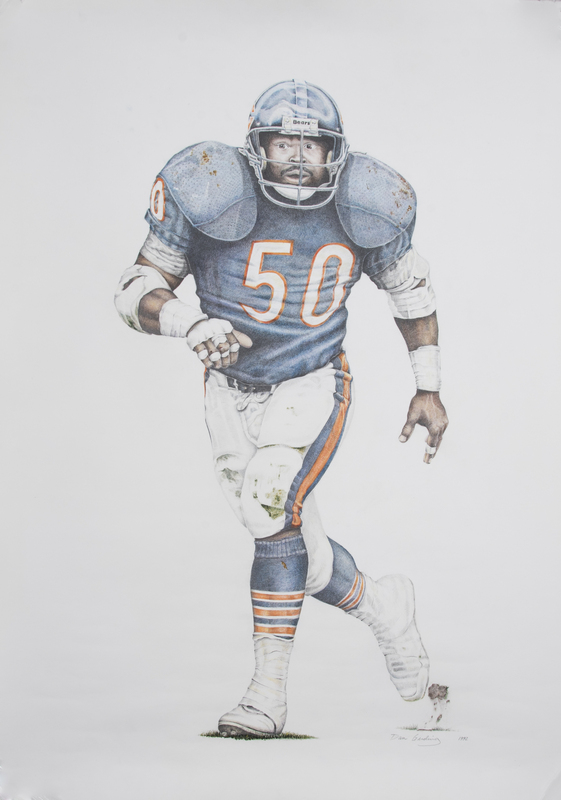 The second item is a 25 x 35 inch lithograph that shows Singletary wearing his blue Bears home uniform. It is dated to 1992, Singletary’s final season in the NFL, and it has been signed by the artist in gray pencil. 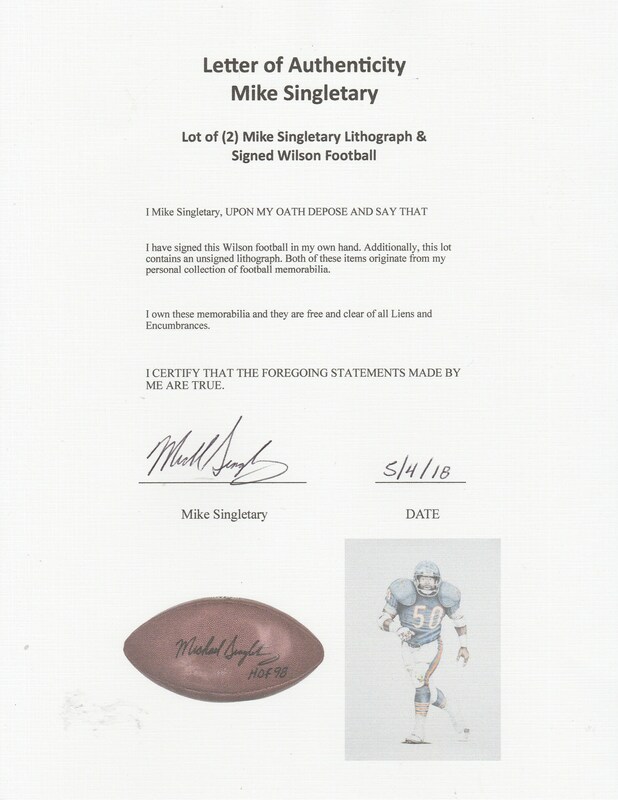 This lot comes with a LOA from Singletary.